Heat oil in a pan. Add mustard seeds and as they splutter add cumin seeds. Next add chopped green chilies and curry leaves. Saute it and simmer the flame. Add hing, turmeric powder and give a stir. 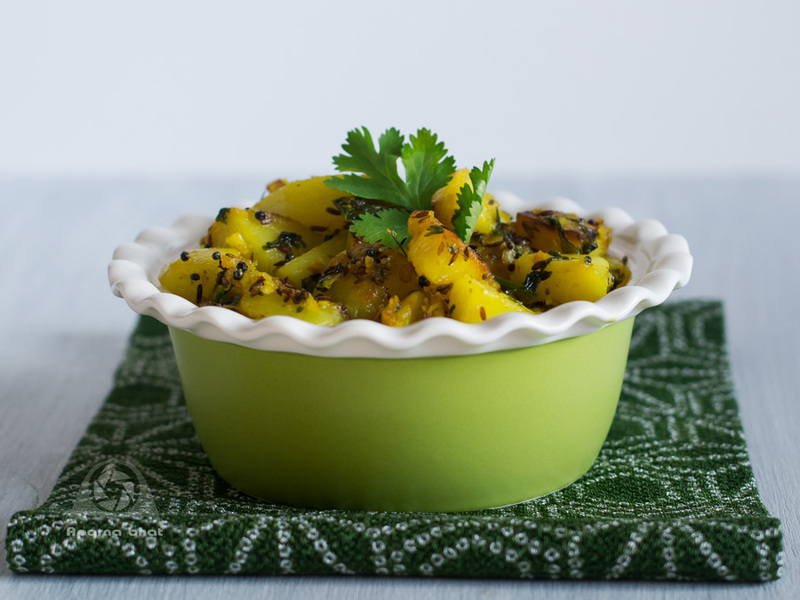 Add finely chopped coriander leaves, grated coconut and diced potatoes. Saute them for few secs, cover the pan and allow it to cook on low flame stirring occasionally.Once the potatoes are done [take care they should not turn mushy] add salt to taste. Squeeze juice of 1/2 lemon and switch off the flame. 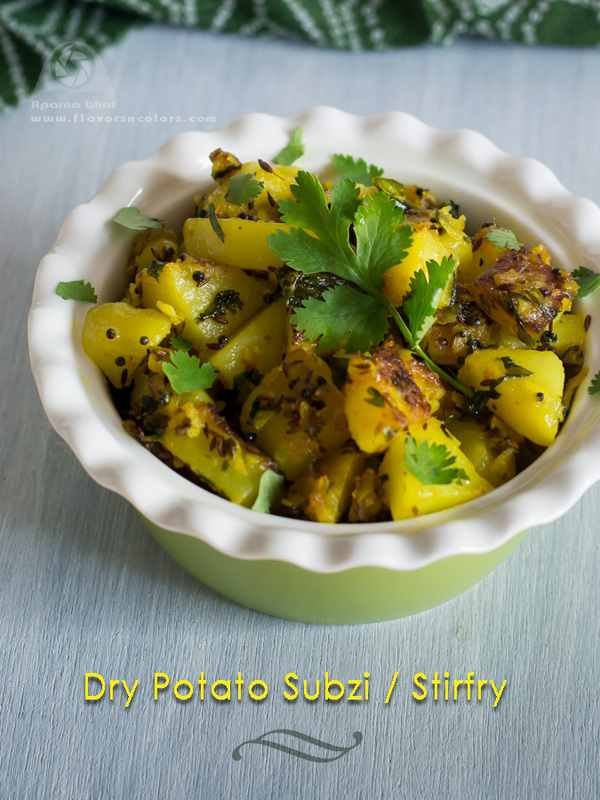 Garnish with finely chopped coriander leaves and serve it as side dish with phulkas or puris. Note: You may add 1-2 tbsp of roasted crushed peanuts to enhance the flavor of this bhaji.